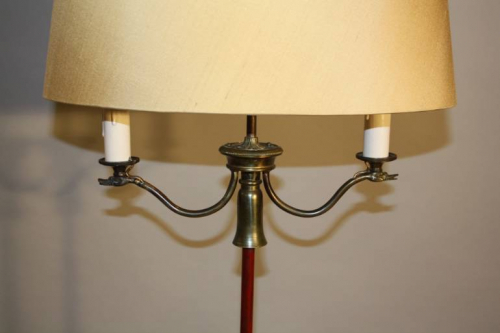 A charming red and bronze metal floor lamp with tripod and ball base and swan head detail to the arm light. The finial top also has a stylised bird and arrow feather detail. Shade recovered in pale cream/gold silk and included in the price. French c1950. Rewired and PAT tested for UK use.